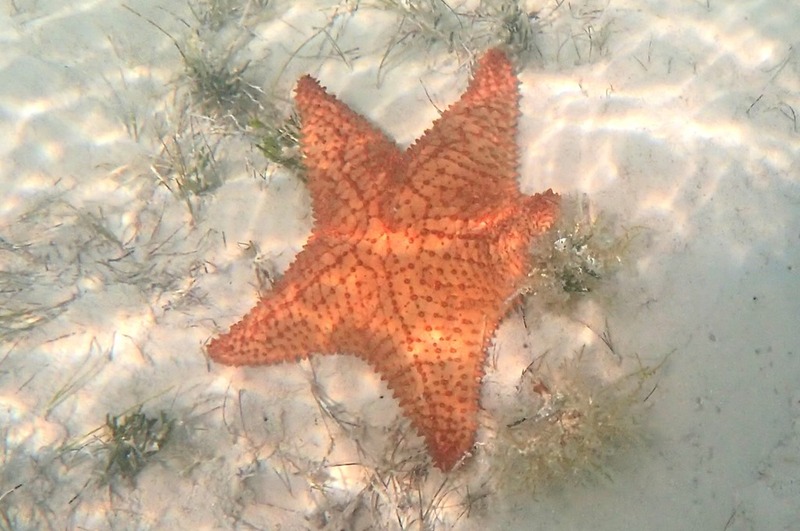 We’re looking for sea stars and conch today. 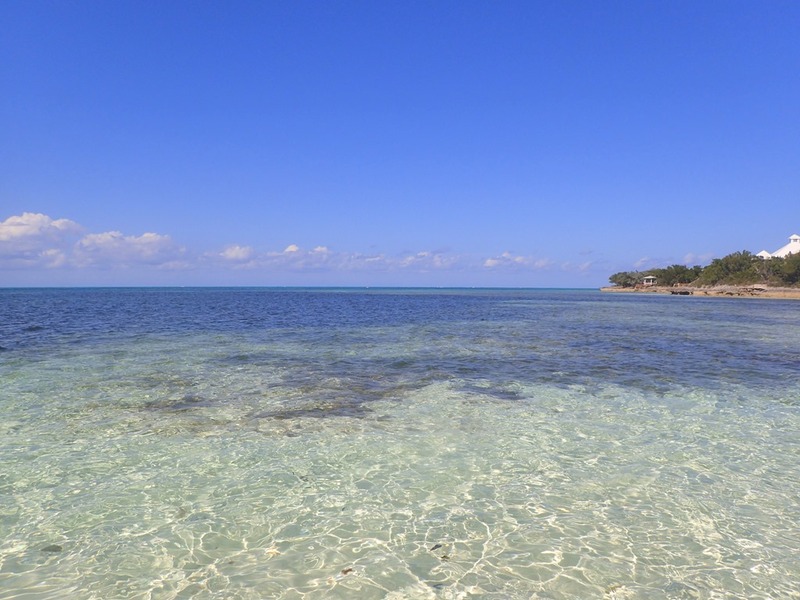 The Sea of Abaco is always an adventure. 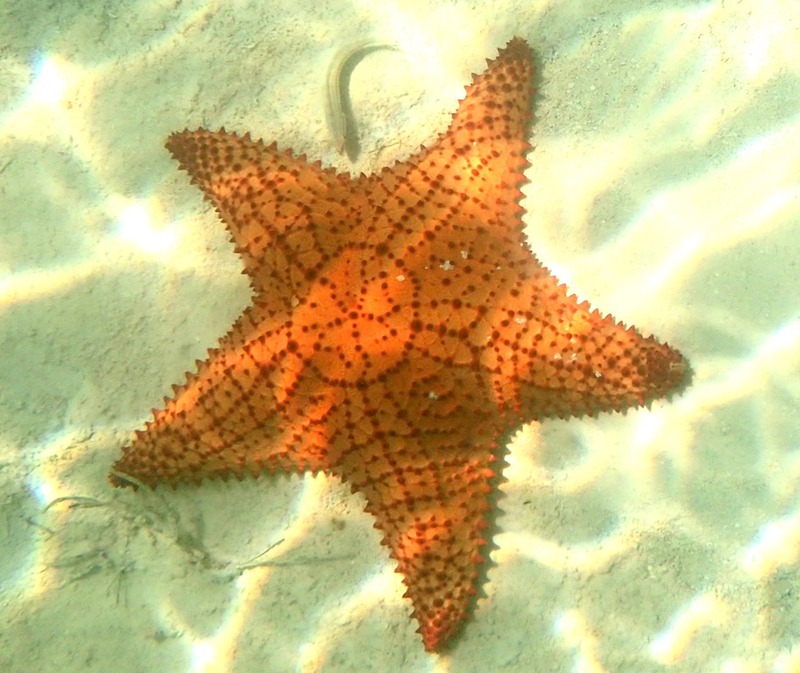 First we cruise the shallow waters near shore in our dinghy – see any sea stars? 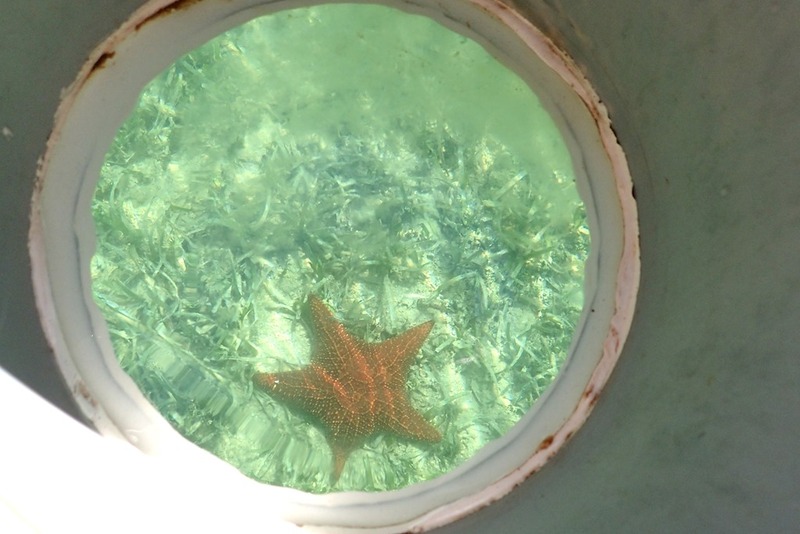 We spot this one through the “look bucket.” That’s a bucket with a plexiglass bottom. When you push it into the water, you can see below the surface, like a snorkel mask or a glass bottom boat. Next we take pictures with the underwater camera. It’s low tide, so about 4-5’ of water. 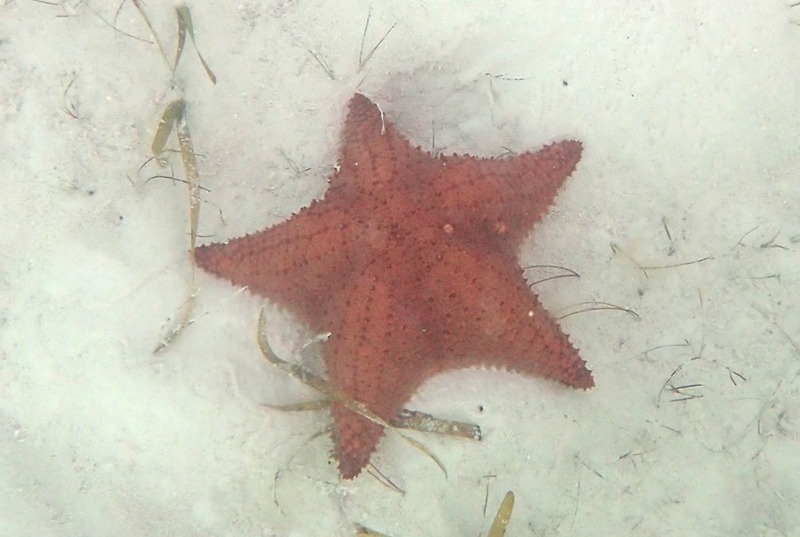 Lots of different sea stars – about half a dozen on this little adventure. Here are some of them. 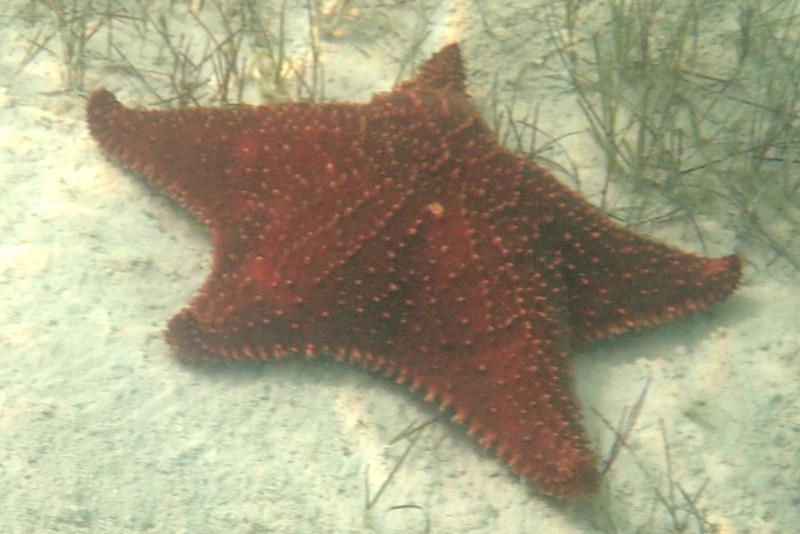 We try to move the dinghy so it’s right next to the sea star and I can take a picture – harder than you’d think to position a flat bottomed dinghy. 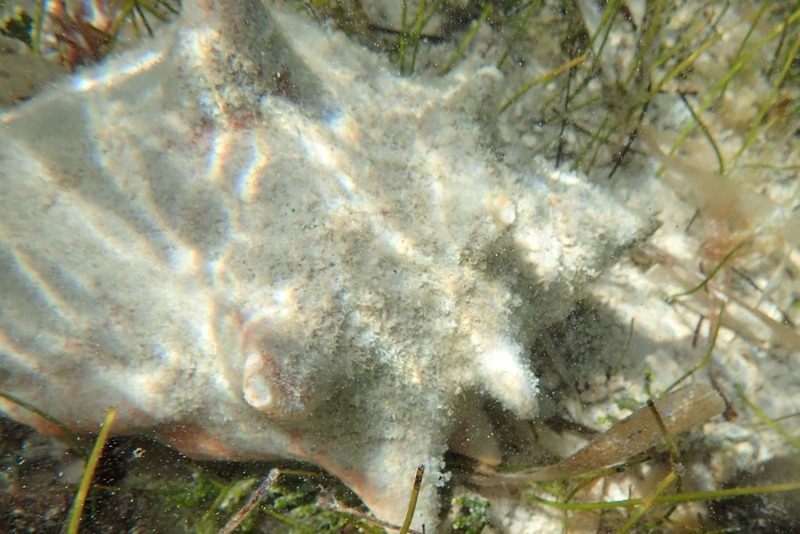 Then onto the shallow waters of the north beach to find conch. Here’s one – well camouflaged as you look at it from the top down. So bright and gorgeous when you turn it over and see the bottom-side. They all have live conch living inside. 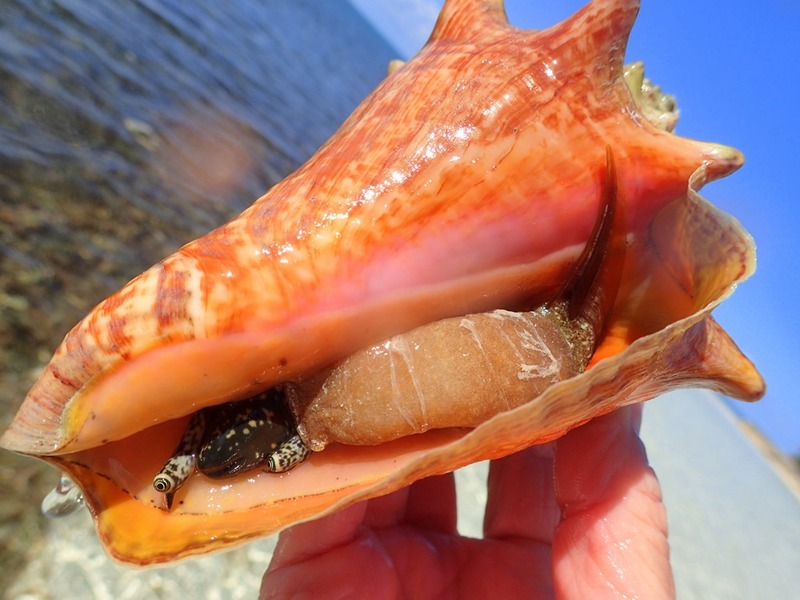 This is what live conch looks like. https://youtu.be/wmumco6Vslo It’s extending its leg out several inches outside its shell, trying to re-right itself. Amazing how much conch there is in a little conch shell. 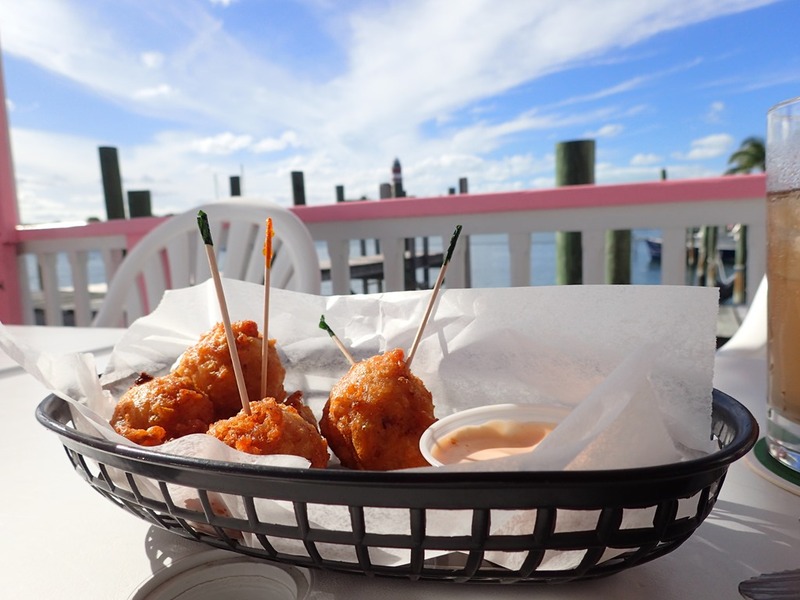 Conch are harvested here – for conch fritters. Some of the restaurants maintain their own conch farms, growing them until needed. 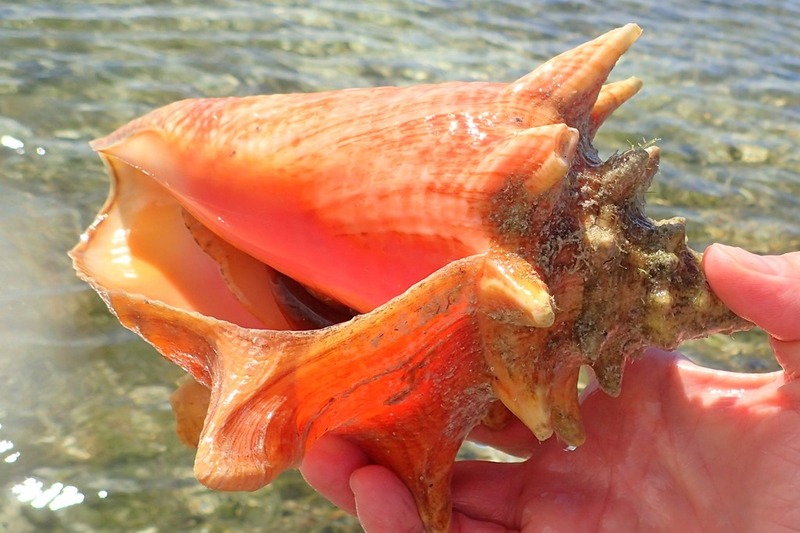 But we sent this conch back to its peaceful life in the water. 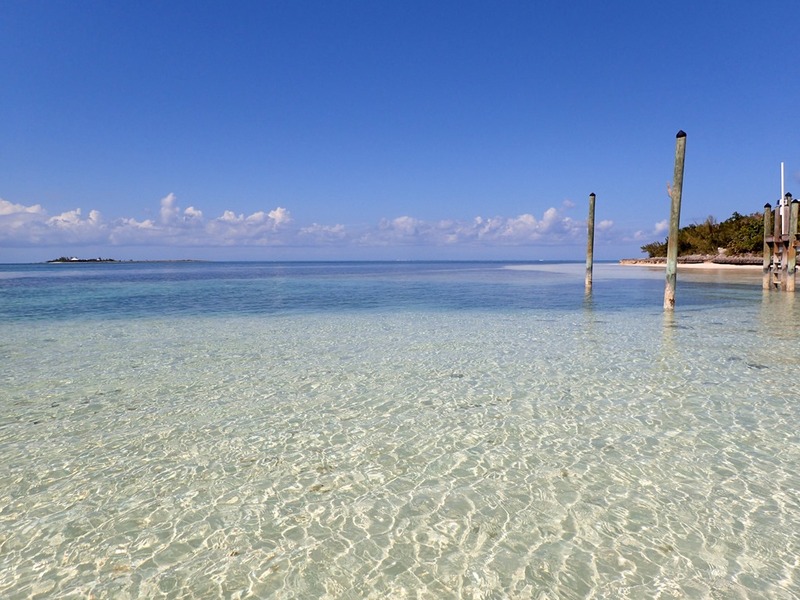 A beautiful day in the warm shallows of the Sea of Abaco.